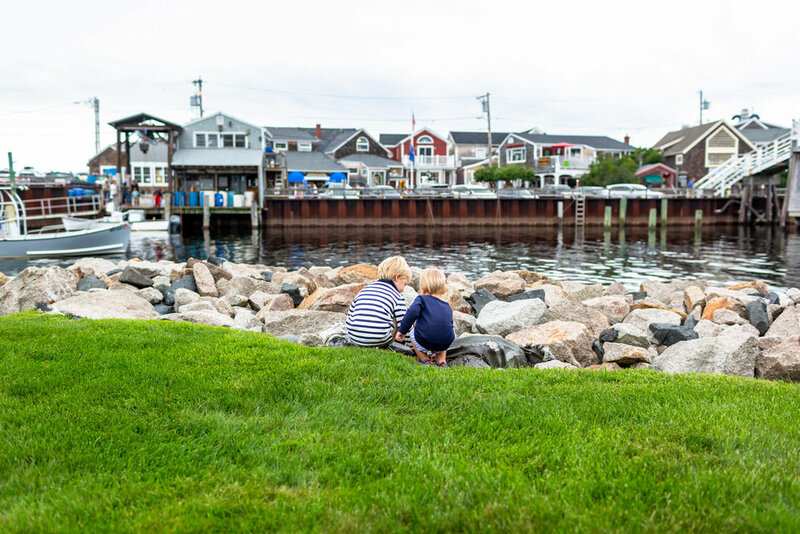 This quaint little cove is my favorite town and it’s located in Ogunquit (just a short drive up the Maine coast from York). 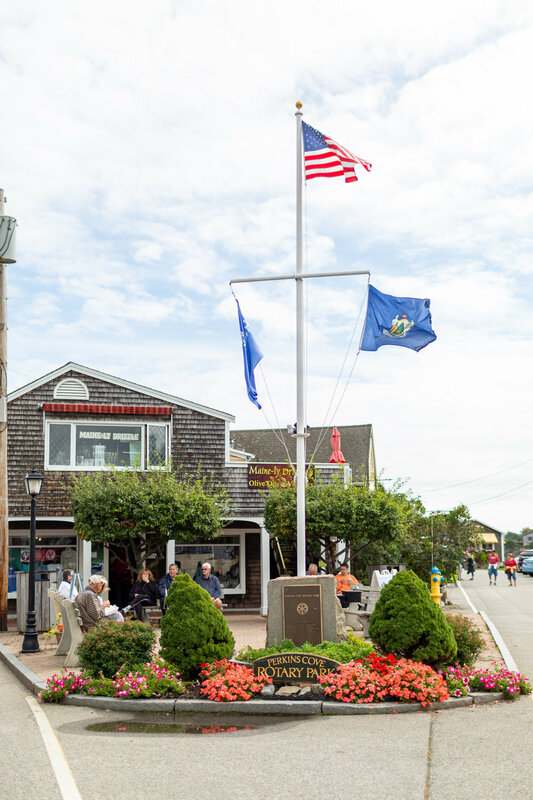 This small community is so picturesque with its drawbridge, sail and lobster boats, gift shops, art galleries and restaurants. It’s like you’re on a movie set, it’s that cute! Scenic view of the harbor in Perkins Cove. Once you cross the Perkins’ drawbridge, there’s a wonderful open grassy area that looks out over the cove. My boys had a blast running around and exploring. Watching the drawbridge go up. If you’re looking to grab lunch while shopping, head to the Lobster Shack. 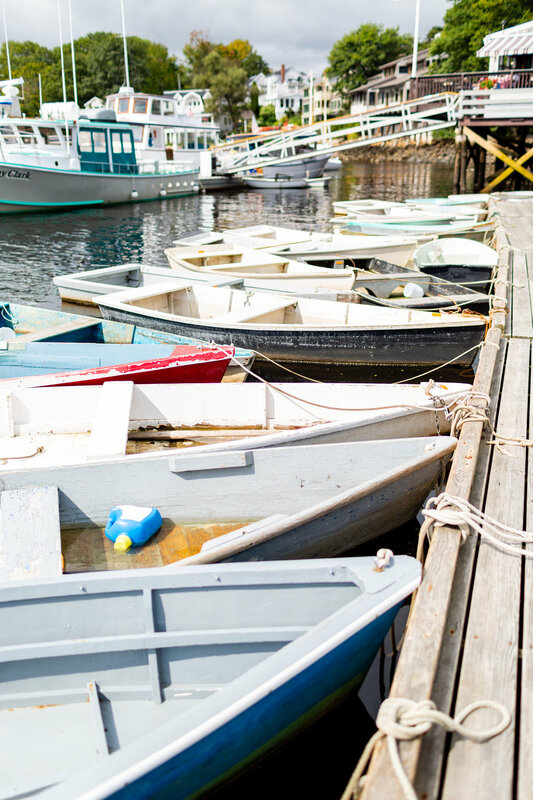 This small rustic seafood eatery is just right over the drawbridge in Perkins Cove. The Lobster Shack is a local mainstay for lobster, steamers, and chowder. The Knotty Sailor (I love a good nautical pun!) is the perfect gift shop for all those Maine souvenirs. This shop has it all…t-shirts, magnets, trinkets, buoys and MORE. I was on the hunt for some small things to personalize my boy’s rooms (since we’re living in a Winter rental) and boy did I score big in The Knotty Sailor!! I found this AMAZING red and white vintage flag to hang over my son’s bed as well as this painted wooden buoy- I just love everything red and blue! I also found this sweet little wooden sailboat, for my youngest’s dresser and this Maine state shaped cookie-cutter by Ann Clark Ltd., will go perfectly with my lobster and moose cookie-cutters. Junebug’s Beach House, specializes in unique, handcrafted goods made in the USA. It has the most amazing items for both your home and your pets! Again, I scored big on finding perfect things for my boy’s rooms. I’m completely obsessed with my reclaimed lobster rope garland by STERN LINES, made here locally. I’m lucky enough to also own one of their lobster rope doormats, go check them out! Lastly, my new red and blue striped buoy pillow by MAINE MADE might be my new favorite accessory for my son’s big boy bed! 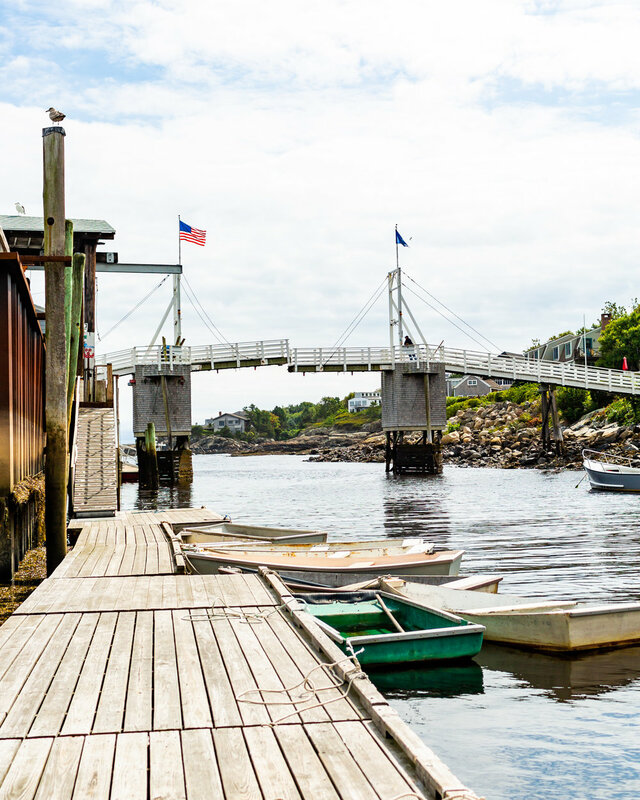 There’s lots more to see and do here…off to the Marginal Way we go!